Is your senior mom or dad struggling to fall asleep or stay asleep? Do they wake up very early in the morning or have difficulty staying awake during the day? These problems grow more common as people age, but that doesn’t mean they’re easy to deal with. Sleep problems can sap energy and may lead to symptoms of depression as elderly people struggle to maintain their regular schedule and activities. Many seniors struggle with daytime sleepiness, wakefulness at night, and and even an increased risk of accidents due to sleep problems. The question is: why do these problems occur? As people age, they experience changes in their sleep/wake cycles. Each night, sleep occurs in cycles of light sleep, deep sleep, and REM sleep. Even though older people sleep approximately the same number of total hours as they did when they were younger, they wake more frequently during the night and don’t spend as much time in deep, restful sleep. That leaves them feeling tired during the day, even if they actually spend more hours in bed than they used to. It’s commonly thought that people need less sleep as they get older, but research shows quite the opposite. Our bodies need consistent amounts of sleep throughout our adult lives, and seniors still need seven to nine hours of sleep every night. The problem is that if those hours are frequently interrupted and the individual never reaches deep sleep, they won’t feel rested. Insomnia—Almost half of seniors struggle with at least some symptoms of insomnia several nights each week. Insomnia may be either chronic (long-term) or acute (short-term) and may result in daytime sleepiness, difficulty concentrating, irritability, and decreased quality of life. Medical Conditions—Conditions such as Restless Leg Syndrome, GERD, urinary problems, or sleep apnea may interrupt sleep, cause pain, or cause seniors to get up frequently throughout the night. Medication Side Effects—Some medications can interrupt sleep patterns or make it more difficult for seniors to fall asleep at night. Talk to your loved one’s doctor—If medical conditions or medication side effects are causing sleep problems, a doctor may be able to alter medication dosages, prescribe different medications, or change the time of day when medications should be taken. Follow a regular sleep routine—Encourage your mom or dad to go to bed and get up at the same time each day. Our bodies follow patterns, and it may be difficult to sleep well if sleep and wake times differ from day to day. Restrict water near bedtime—If your family member gets up several times to go to the bathroom in the night, encourage them to restrict water intake for an hour before bedtime. Eat a light snack before bed—Blood sugar drops during the night can also contribute to nighttime wakefulness. Eating a light snack before bed can help keep blood sugar stable through the night. Change sleep habits—If your loved one suffers from sleep apnea, sleeping in a different position or investing in a sleep machine can greatly improve quality of sleep. Intentionally preparing for sleep by avoiding caffeine four to six hours before bed, establishing nightly rituals, practicing deep breathing, and taking a warm bath can also promote better sleep. There are times when elderly people need help managing daily activities and nightly routines in order to promote the best possible sleep and get the rest they need. 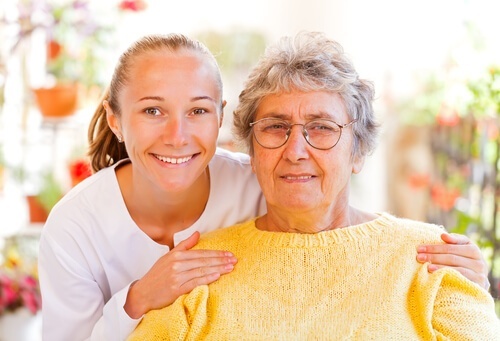 In these cases, it may be helpful to consider home health care for your family member. 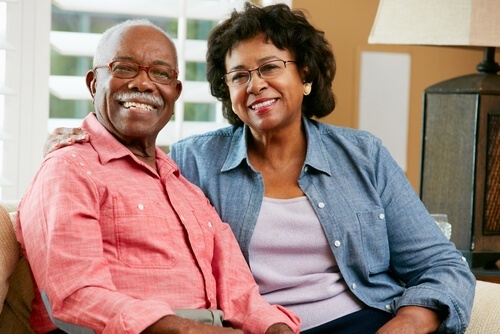 Home health care professionals can assist with many of the daily activities and routines seniors may struggle with as they age such as meal preparation, medication management, and daily hygiene. If you think home care may be the right choice for your senior loved one, download our FREE infographic to learn the top ten questions you should ask before choosing a home care agency.